There’s something about Spain that just draws you in. It might be the intoxicating culture that prides worry-free relaxation one moment and unfettered enthusiasm the next. 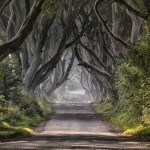 Perhaps it’s the centuries of diverse history and conquest that have left an indelible mark on the landscape. Or maybe it’s just the ideal Mediterranean location. Whatever it is, we’ll let you know where to travel in Spain, when to go, how to get around, and how much you should expect to spend. While a trip to Spain can be justified anytime of the year, you should expect cold winter temperatures if you’re not right along the coast. Summer can be quite hot, especially in places like Madrid in the centre of the country. Overall, we recommend late spring or early fall as the optimal times to visit – taking advantage of both good weather and slightly smaller crowds. August isn’t a great time to get a feel for city life, as many locals flee to the beaches. Buses can help you get around the country easily with a variety of options that vary in price and comfort level. Train service is also regular, efficient, and fast – especially the route between Madrid and Seville. It’s recommended to buy your ticket ahead of time in order to avoid long lines. Beyond that, renting a car is a viable option if you plan on venturing outside of the city. All in all, you have a variety of choices so you can pick whatever suits you best. 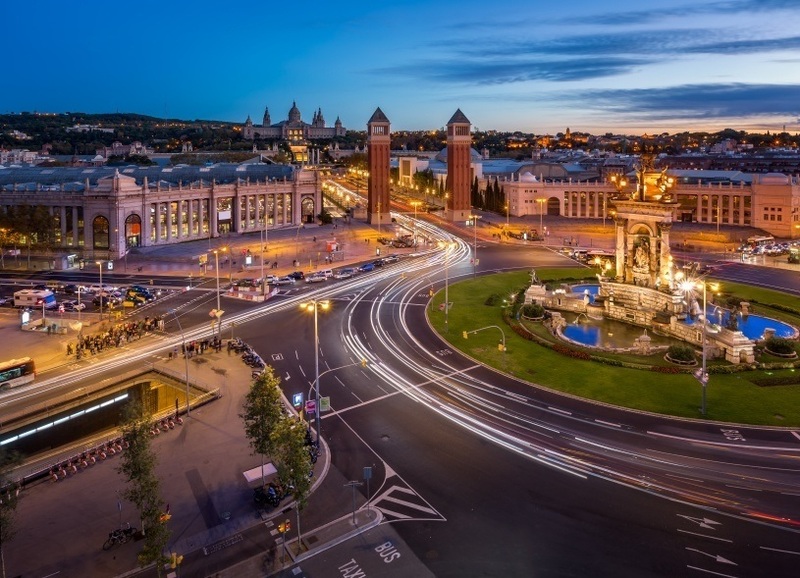 Spain’s capital and largest city may not hold quite the same luster for travelers as Barcelona – but those who make the trip to the centre of the country will be rewarded with an unbridled energy and passion that you’d be hard pressed to find anywhere else in Europe. Madrid is renowned for its party atmosphere, with the young population keeping things rocking until the sun comes up. There’s more here besides the nightlife as well. Madrid is a beautiful city with the numerous parks and squares an inviting treat. Be sure to stop by the Royal Palace, which is among the most lavish on the continent. It may not have the ideal location of Barcelona or even the same amount of sights, but it might just be the most fun you’ll have the entire trip. For many, Barcelona is the first place on the list for any Spanish getaway. It starts with the seaside location and only gets better from there. The diverse flavours of Catalan cuisine are readably available – with fresh seafood, meats (especially ham), and much more. The Old City is great for wandering around while La Rambla (a pedestrian street that cuts through the city) is the centre of life in Barcelona. Whether you’re strolling along the beach or taking in one of the many local festivals – Barcelona is a city that’s full of surprises. Like Madrid, the nightlife here goes on until the wee hours of the morning so you can be sure to find something to do no matter what the time is! For something a little different, Basque Country could be just what you’re looking for. While it stretches into France as well, we’re just focusing on the Spanish side here. 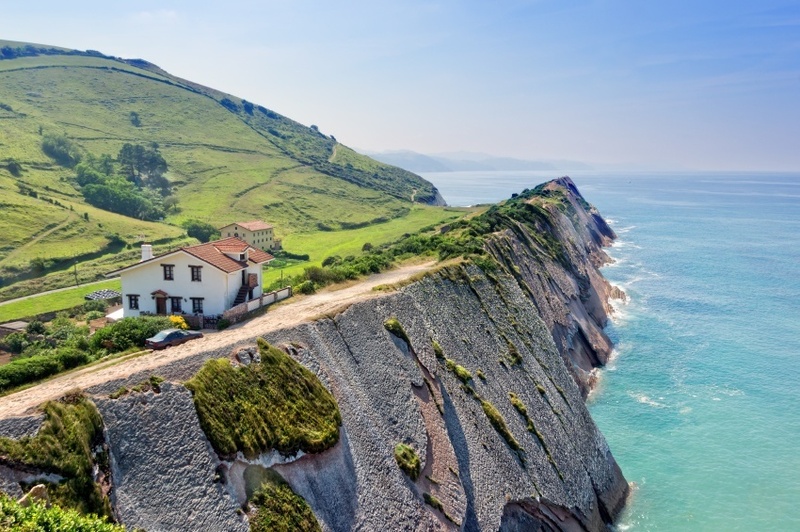 With tall mountains climbing towards the heavens in full view of the long rocky coast, Basque Country is completely different environment to the rest of Spain. It’s not just about the geography here. The cities are all at once cosmopolitan and unique (especially Bilbao), while picturesque villages and chalets find a home in the stellar landscape. Basque Country affords a chance to lose yourself in an enthralling culture and shouldn’t be missed. Looking to the south, we find ourselves in the large region of Andalusia. Outside of Madrid and Barcelona, this is what most travellers look for in a Spanish getaway. We could easily fill the entire guide with a trip through this gorgeous region, but we’ll have to content ourselves with a few choice cities for the time being (but you should definitely take some time to explore). 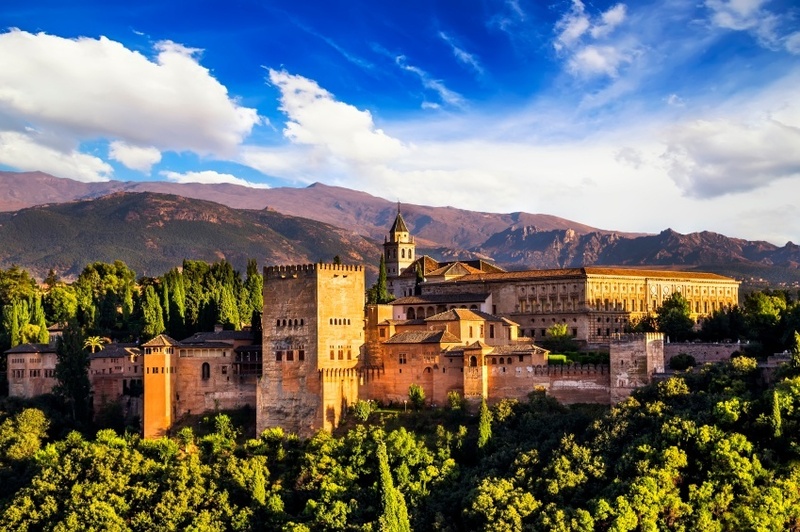 For the budding historian in you, Granada offers arguably more than any other Spanish city. As the final outpost of the Moors before they were driven off the Iberian Peninsula during the Reconquista, the city offers great examples of both Moorish and Catholic architecture. It’s the intoxicating culture that arguably serves as an even bigger draw, with a wide array of food options, diverse customs, and much more. This is Southern Spain at its most vibrant. 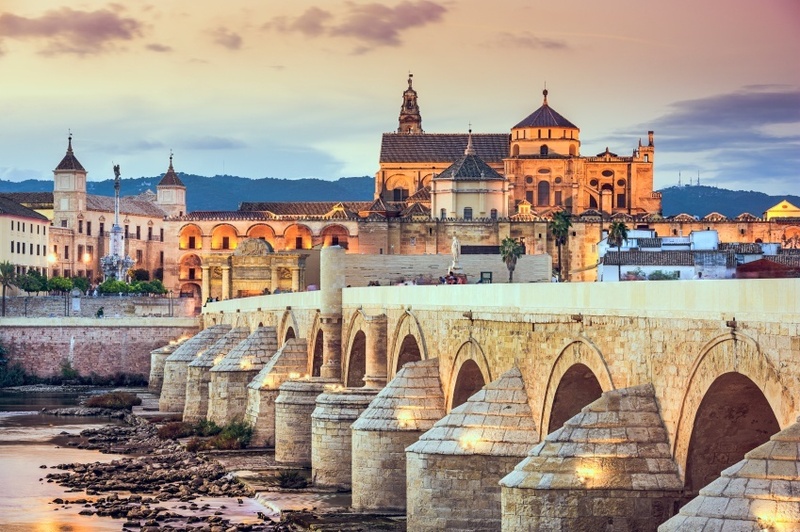 Another blast from the past, Córdoba served as the capital of Moorish Spain for many years, and this influence is still felt today. Nowhere is it more evident than the absolutely magnificent Mezquita – a staggering mosque that dates back over 1000 years. The city strikes a solid balance between the touristy and a living, breathing city with two distinct halves that you can switch between at will. As with much of the country, you can easily find excellent food and drink around nearly every corner. It may not be on the coast (which is certainly a major reason to visit Andalusia), but the city of Seville might just be the can’t-miss destination in this southern region. If you close your eyes and imagine what ‘Spain’ is, you’re likely to find those daydreams made reality in Seville. Everything from flamenco dancing and bullfighting to music and great food is within easy reach here. The magnificent Alcázar palace is another staggering example of the land’s Moorish heritage, and it was even featured in the most recent season of Game of Thrones (think Dorne). 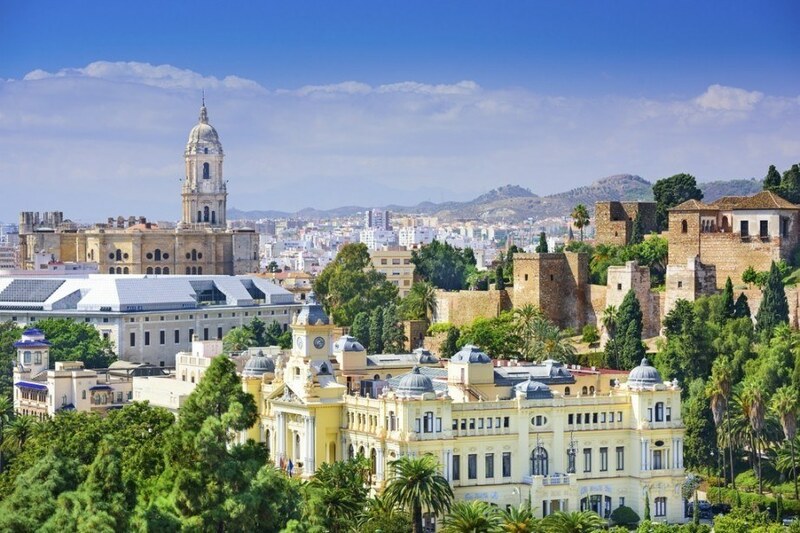 Granada may be about an hour from the coast, but Málaga makes its home directly on the shores of the Mediterranean Sea. It may not have the cultural or historic pedigree of Andalusia’s other major cities, but you’ll quickly find that this coastal location offers quite a lot to see and do. Beaches, great food, and an authentic historic centre are just some of the sights and sounds to expect in Málaga. A climb up to the nearly 1000-year-old castle presiding over the city is worth it for the view alone. It may be considered tacky by some, but recent revitalization has turned Málaga into one of the premier destinations on the Mediterranean. Not all the fun is had on the mainland in Spain. A little ways off the east coast you’ll find four islands that are all popular destinations for travellers from around the world. 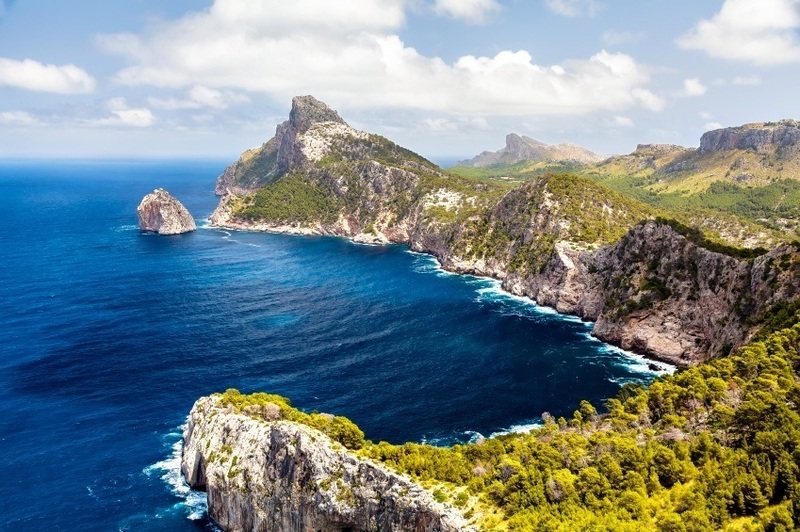 Mallorca is a brilliant island with coves, hills, and picturesque peaks helping to offset some of the tourist madness that is also located here. Menorca still holds remnants of long past civilizations while Formentera is arguably the hidden gem of the bunch. Of course, we can’t forget Ibiza. As a renowned party hotspot, we’re going to assume you know what to expect from the nightclub, concert, and bar scene here. While the Canary Islands are a part of Spain, they might actually be easier to visit if you’re travelling to Morocco – with the archipelago located off the southern coast of the African country. Still if you have the ability to make this side trip, we heartily recommend it. 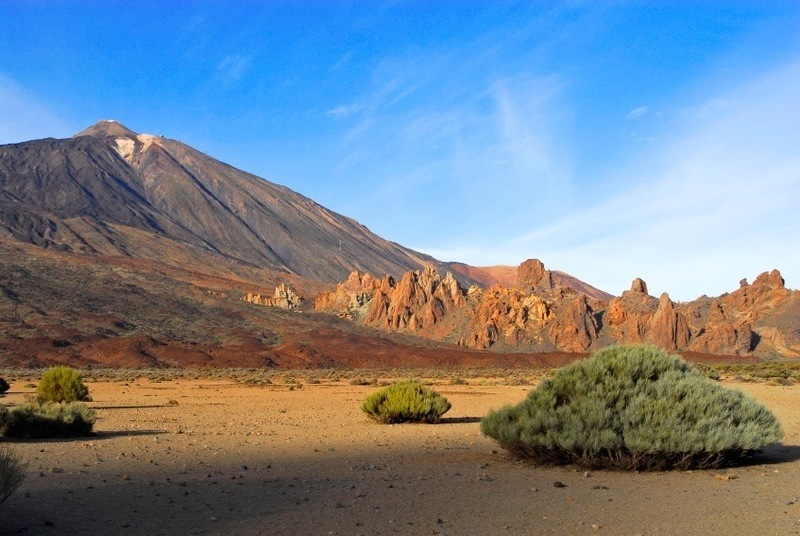 The geography is like nothing you’d expect – with volcanoes, rugged otherworldly landscapes, sand dunes, and more. Of course you can also come here for the built up seaside resorts, but it’s the remote and stunning interior that will truly take your breath away. Flights between Pearson and Spain are generally slightly cheaper than comparable trans-Atlantic destinations. Round trip flights to Madrid often start around the $800 mark while Barcelona is usually a couple hundred more expensive. That being said, you can find some great deals out there – so be sure to spend some time looking around! Once you arrive in Spain, you can expect to spend about $136 per day with a budget of $71 for accommodation and $33 for food. 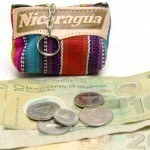 Penny pinching travellers can likely get by with about $51 per day while those with a taste for the finer things in life will likely end up with expenses closer to $389 per day. While some prices can be considered generally comparable to other nearby countries, you’ll find that you can get by fairly cheaply in Spain. Grocery stores, drinks, and more are often much cheaper than in say, France or the United Kingdom. 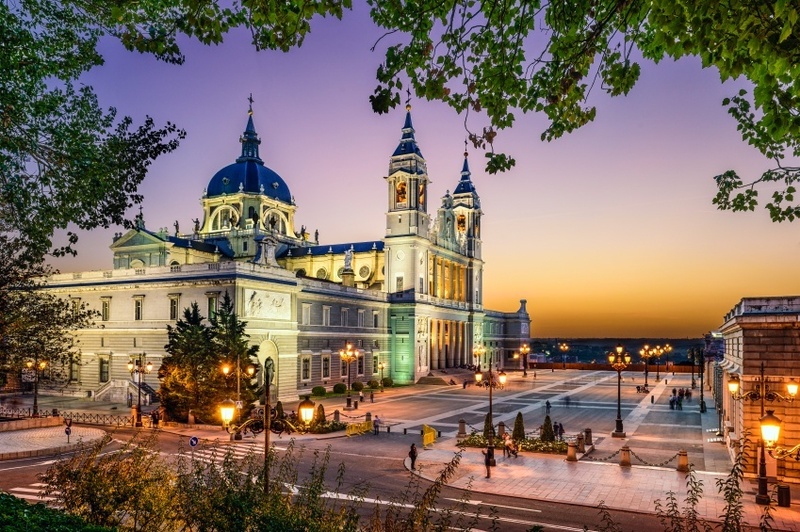 Spain is a relatively safe country to visit with no nationwide advisory in place and normal security precautions recommended throughout by the Canadian government. As with many popular tourist destinations, petty crime is a concern – so be very alert while in crowded areas and especially during festivals or other gatherings. As with much of Europe at this time, terrorism is a fear. Stay up to date on any security announcements and follow the instructions of local authorities if a situation should arise. In addition, ETA (the Basque terrorist group) is yet to officially disband and disarm – however they have announced an end to violent attacks. Lastly, be wary of any large gatherings or protests, as they can turn violent. Other than that, your journey to Spain should be safe and memorable for all the right reasons. These are just a few examples of where to travel in Spain, there’s tons more to see and do. If you think somewhere else should be on the list, let us know in the comments. 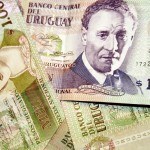 Check out our Country of the Week for more general information about Spanish history and culture as well as our Currency Spotlight for information on the euro.